This entry was posted on October 12, 2012 by Charles Ford. 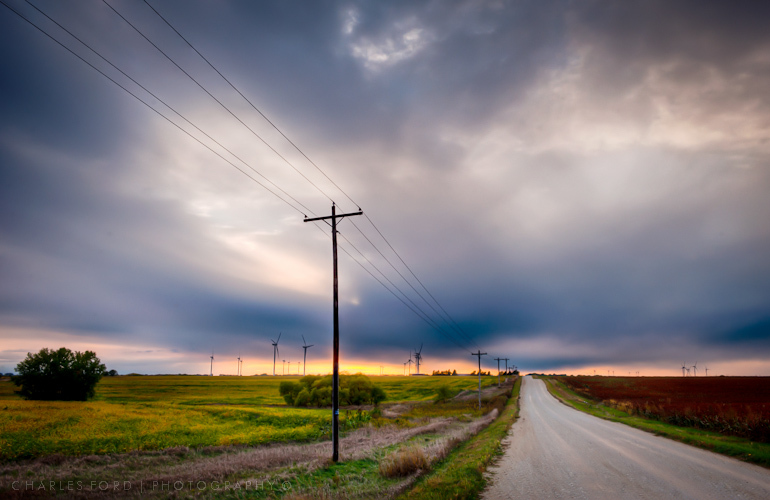 It was filed under HDR and was tagged with Dusk, Hawk Road, Kansas, Photography, Power Lines, Sky, Sunset. Absolutely right – it does work (occasionally). I started another series this past spring (and continuing with it) of photos with prominent electrical lines, so I know what you’re talking about. I have yet to post any of them but I will say that this is better than any of the photos in my series. Nice work!